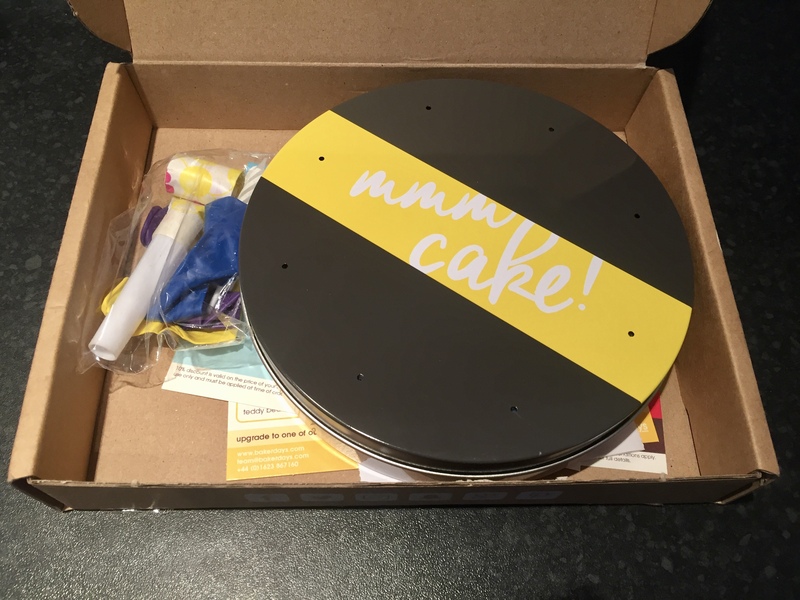 Baking is honestly one of my most favourite things to do, I have been baking for such a long time now so when Bakerdays approached me and kindly sent me* a letterbox cake I was so excited to review it. I hadn’t previously heard of Bakerdays, but when I saw that they delivered a cake by post I was sold! So thank you so much Bakerdays for this lovely cake that you sent me. Check out their Instagram and Twitter if you want to see even more! 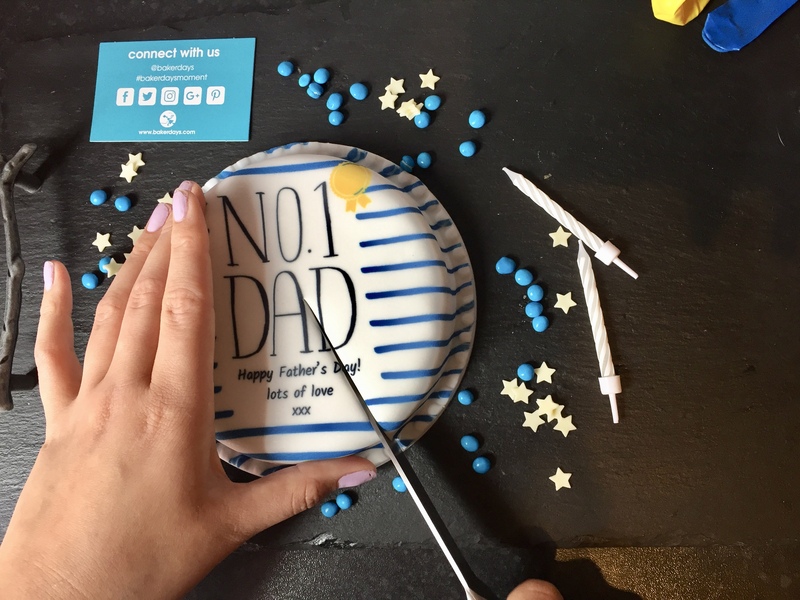 Bakerdays are a company that design and personalise cakes and celebration extras such as balloons, in order to make your special occasion the best it can be. They aren’t limited when it comes to occasions, as they have a cake for every occasion. If they don’t have one that you want, they can’t personalise it for you. All you have to do is let them know the style, recipe and when you want it for. They offer cakes for everything you could think of, birthday cakes, cakes for passing your driving test or getting a new job, Christmas cakes and even get well soon cakes AND MANY MANY MORE! 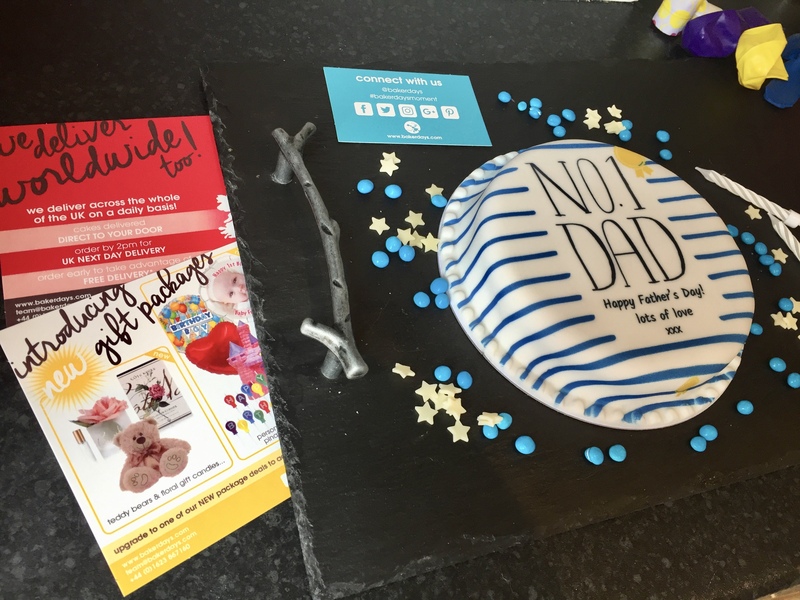 They have different sized cakes such as Letterbox cakes ( a cake suitable for a couple of people ), small cakes, medium cakes and large cakes. 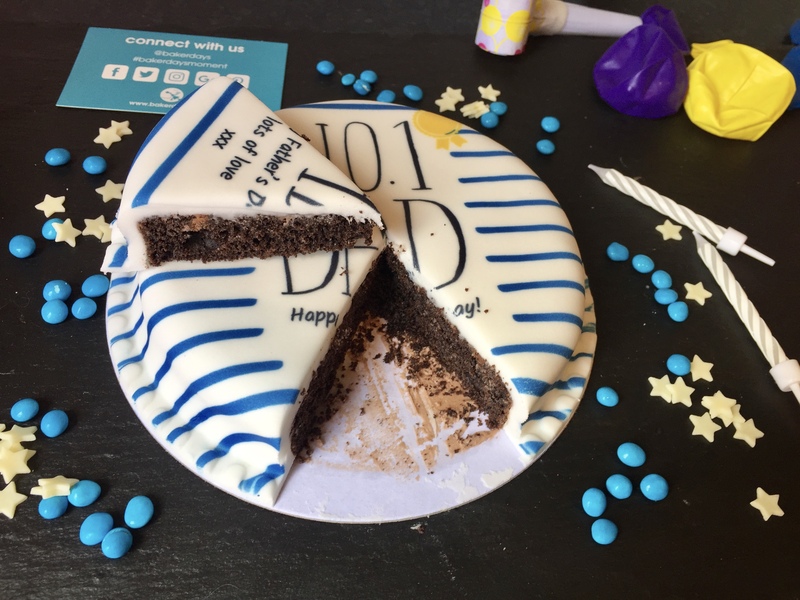 They have recipes that will suit everyone, you get to choose between a traditional sponge, half chocolate half sponge, lemon drizzle, gluten free sponge, dairy free sponge and rich chocolate chip. I choose the rich chocolate chip as a Letterbox cake and it was £14.99, this is such a great price for what you are getting. Not only are you getting the cake personally delivered, but you get it catered to what you want. One of the many good things about Bakerdays is that they deliver straight to you, you don’t even have to leave your house!!! They deliver world wide, so where ever you are in the world this is available for everyone. The whole process of designing and ordering the cake is super easy quick to do. This is the box that the cake arrived in. It comes in a cardboard box, perfect size to fit through your letterbox. It comes with a bag of balloons, candles and a little party horn. I thought it was such a lovely touch as it makes the occasion even more special. It also comes with a couple of flyers, telling you that they deliver worldwide and that they are introduces the new gift packages. This is the tin that the cake comes in. The tin is secured tightly shut so there is no way that the lid could come off by itself. 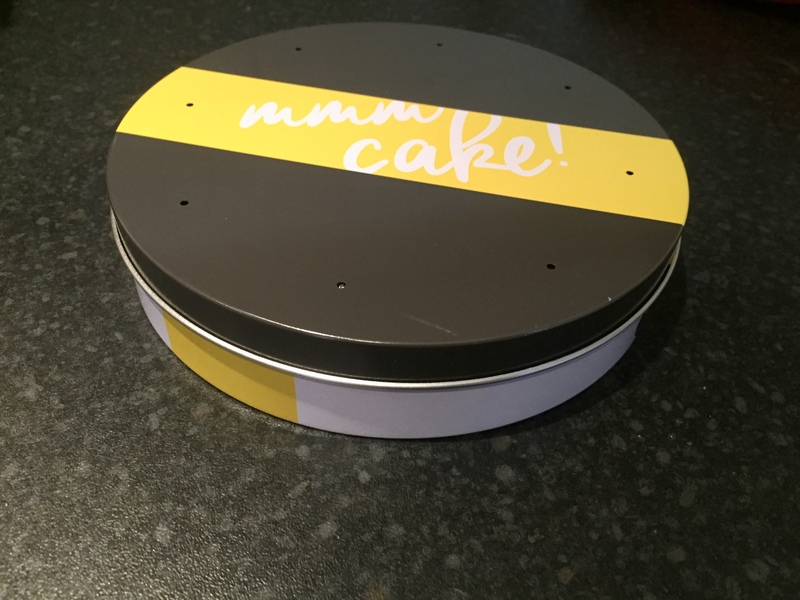 The holes in the tin are also very important as you want the cake to be able to breath while in the tin. I choose this style of cake and when I wanted the cake to arrive by. 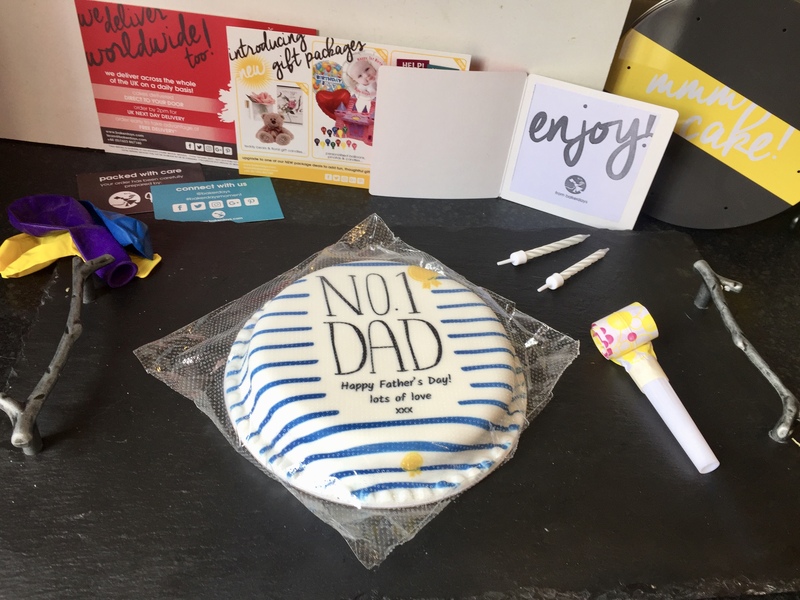 If you are someone who struggles to find something for your Dad for fathers day, then this is going to be the perfect gift for you. 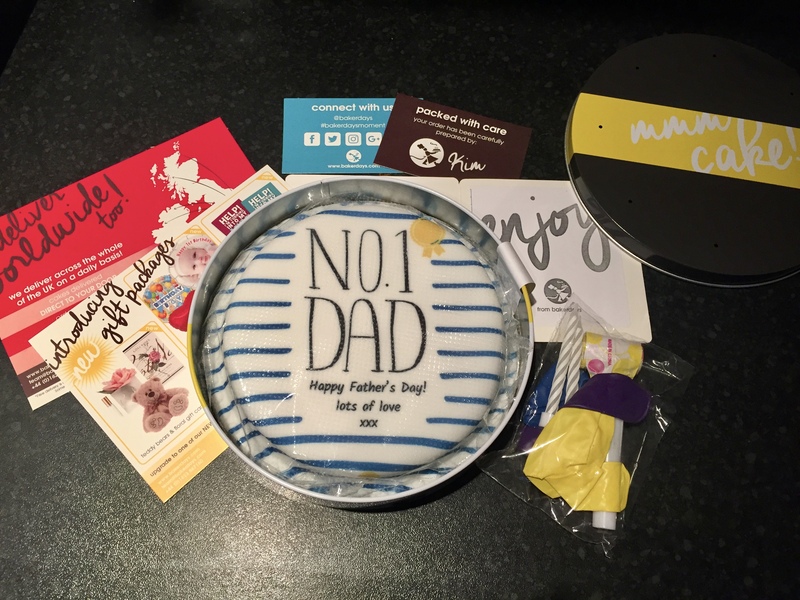 Bakerdays a section all on Fathers day cakes, and if you order before 2pm then you can get NEXT DAY DELIVERY!! 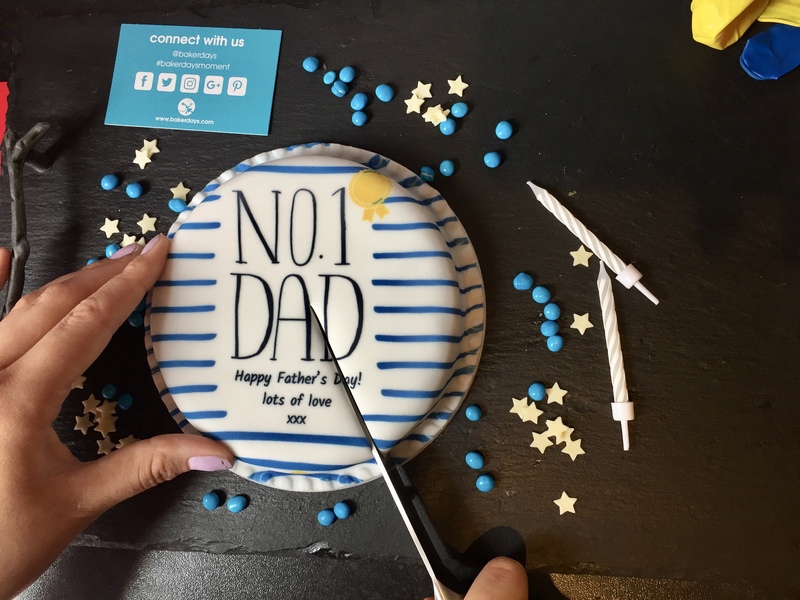 You add pictures to your cake, which I think is such a fantastic idea! 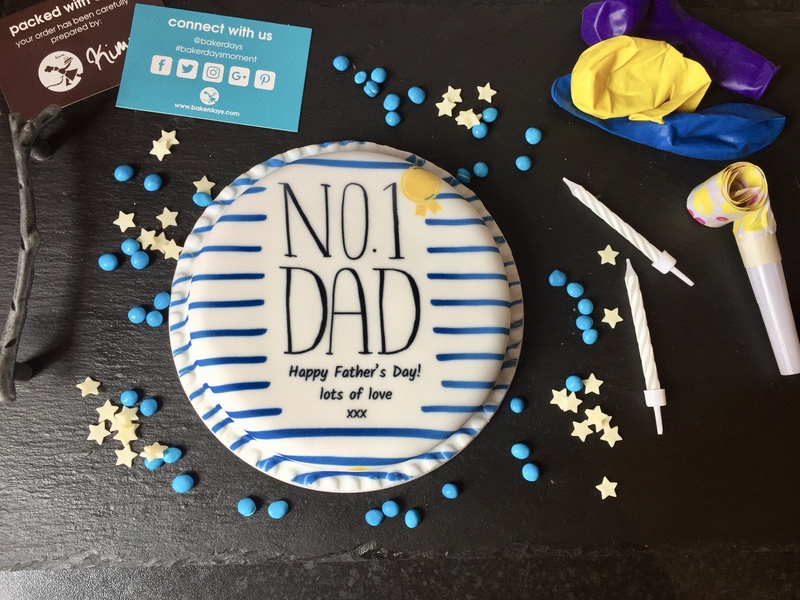 Therefore, if you fancy embarrassing your Dad by having a crazy embarrassing picture of him on a cake, then Bakerdays will be the one to help you out. 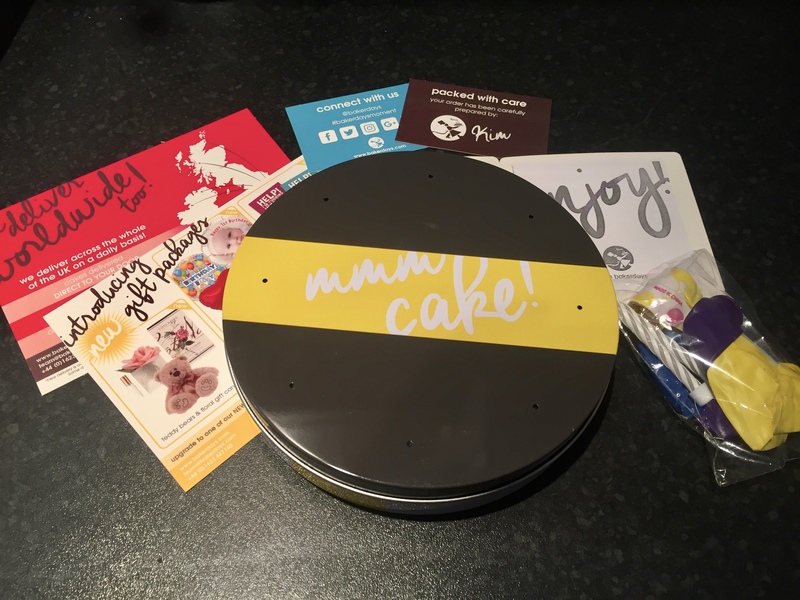 The cake itself was super easy to get out of the tin, it has a white piece of paper that you pull and it pops the cake out of the tin which was really useful. The cake came in a sealed clear cover so that the cake didn’t get dirty and nothing got into the cake which is very important. On the website, when I saw that they had RICH CHOCOLATE CHIP I was all for it, who wouldn’t want this flavour cake? The taste of the icing was absolutely amazing, it was sweet and moist I found myself picking at the base of the cake to make sure I got every bit of icing. There is quite a thick layer of icing, so if you are anything like me then you will love this. The pattern was beautifully printed onto the icing, creating a stunning professional look to it. The sponge of the cake wasn’t too sickly at all, so if you are worried that the chocolate chip recipe will be too sickly you don’t have to worry about that. The sponge was soft and moist and it was just a really lovey cake all in all. Both flavours of the icing and the sponge went beautifully together, a taste that no one would want to miss. It was very moist and wasn’t dry at all. I could have literally eaten the whole cake to myself. I AM DOING A GIVEAWAY!! MY FIRST GIVEAWAY! YAY! To enter my giveaway with Bakerdays all you have to do is follow me on Twitter, and simply RT my giveaway tweet in order to be chosen for the giveaway. 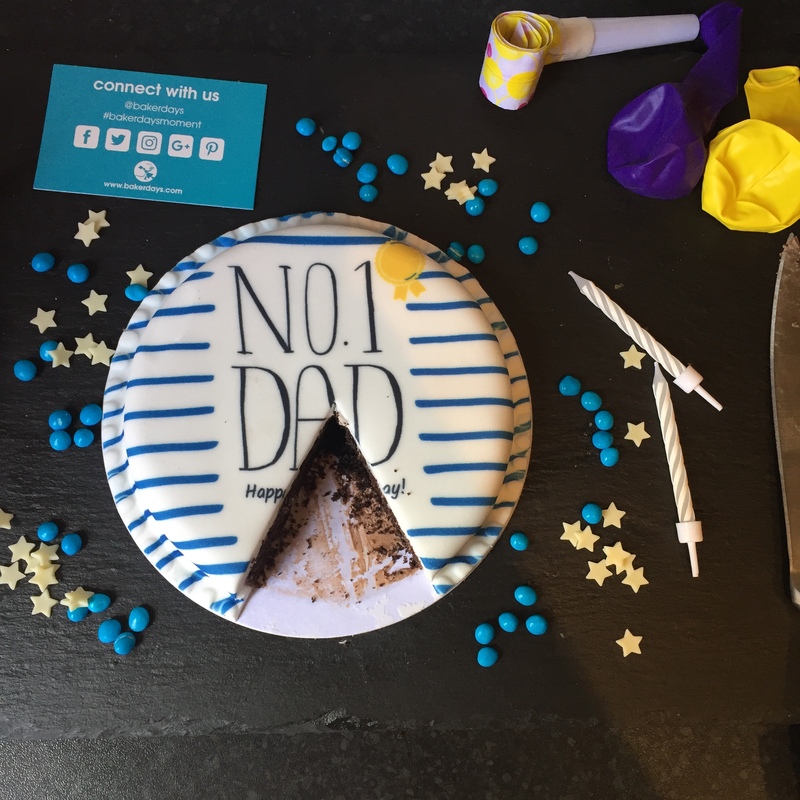 The winner will receive a free Letterbox cake from Bakerdays. The giveaway ends on the 25th June at 9AM! Thank you, good luck!! you might win a free cake!! This is so awesome!!! I’m totally going to mail my boyfriend one of the humor cakes just for fun. Mostly because I live with him and the way you described the cake sounds delish! Love the cake you chose! Your pictures of it are amazing. I had a chocolate chip one too and it was so delicious! I’m imdpseser. You’ve really raised the bar with that.